Welcome to this week in Neo4j where we round up what’s been happening in the world of graph databases in the last 7 days. As my colleague Mark Needham is on his well earned vacation, I’m filling in this week. Next week we plan to do something different. Stay tuned! Jeffrey A. Miller works as a Senior Consultant in Columbus, Ohio supporting clients in a wide variety of topics. Jeffrey has delivered presentations (slides) at regional technical conferences and user groups on topics including Neo4j graph technology, knowledge management, and humanitarian healthcare projects. Jeffrey published a really interesting Graph Gist on the Software Development Process Model. 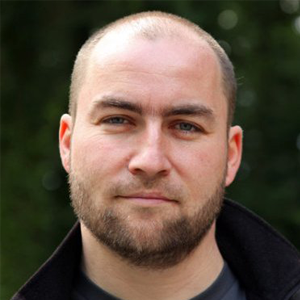 He was recently interviewed at the Cross Cutting Concerns Podcast on his work with Neo4j. Jeffrey and his wife, Brandy, are aspiring adoptive parents and have written a fun children’s book called “Skeeters” with proceeds supporting adoption. 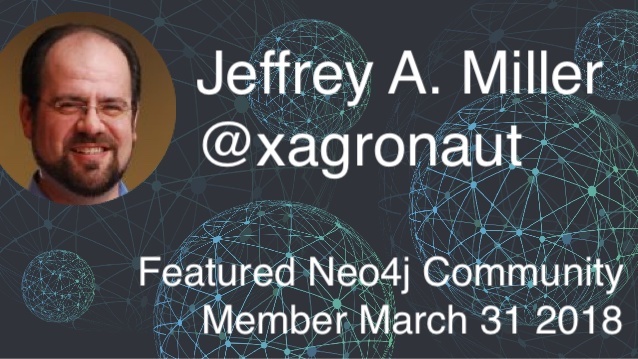 On behalf of the Neo4j community, thanks for all your work Jeffrey! The infamous Max De Marzi demonstrates how to use Neo4j for a common meeting room scheduling task. Quite impressive Cypher queries in there. Max also demos another new feature of Neo4j 3.4 – geo-spatial indexes. In his blog post, he describes how to use them to find the right type of food place for your tastes via the geolocation of the city that you’re both in. Zeqi Lin has a number of cool repositories of importing different types of data into Neo4j, e.g. Java classes, Git Commits or parts of Docx documents, and even SnowGraph a software data analytics platform built on Neo4j. This AutoComplete system uses Neo4j which stores terms, counts and other associated information. It returns top 10 suggestions for auto-complete and tracks usage patterns. A new version of py2neo is coming soon. Designed for Neo4j 3.x, this will remove the previously mandatory HTTP dependency and include a new set of command line tools and other goodies. Expect an alpha release within the next few days. My colleague Will got an access key to Graphistry and used this Jupyter Notebook to load the Russian Twitter trolls from Neo4j. 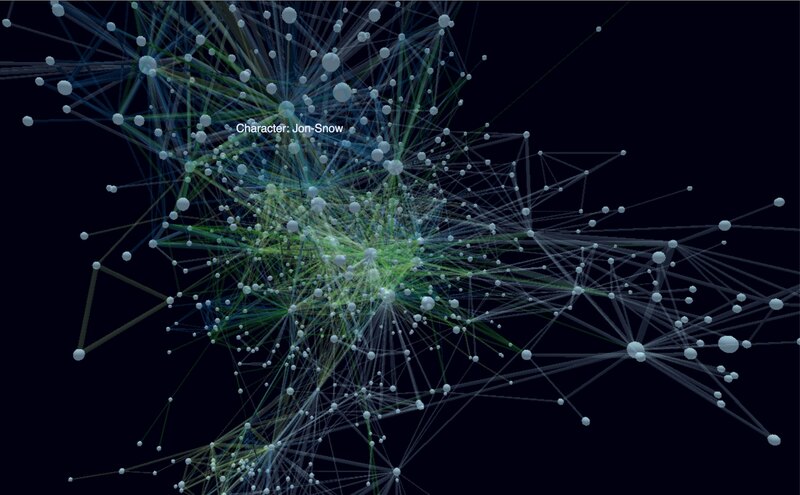 I also came across another Cytoscape plugin for Neo4j, which looks quite useful. This weeks update of Neo4j Desktop has seen the addition of the neo4j-graphql extension that our team has been working on for a while. There will be more detail around it from Will next week but I wanted to share a sneak preview for all of you that want to have some fun with GraphQL & Neo4j over the weekend. 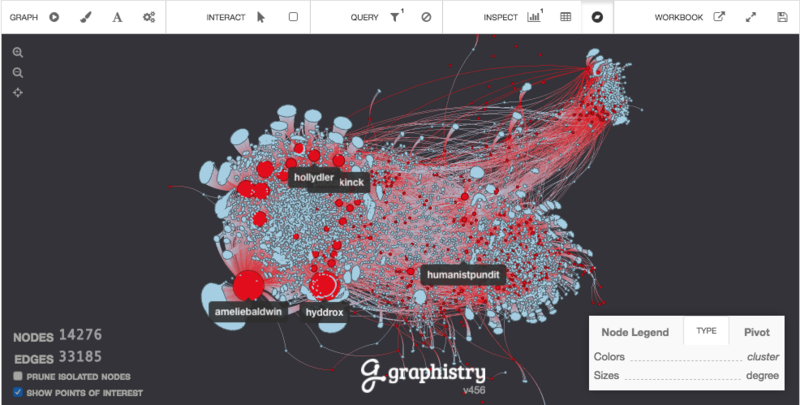 What’s happening next two weeks in the world of graph databases? Importer massivement dans une base graphe ! That’s all for this week. Have a great weekend! And Happy Easter or Passover, if you celebrate it.